THESSALONIKI, Greece (AP) — Germany made headlines this week by letting Bernie Ecclestone, the Formula One chief, pay $100 million to end his bribery trial. In Greek justice, money talks in a different way: Some inmates jailed for minor offences are allowed to buy their freedom — at an average rate of five euros per day. "A fine had been issued against me," he said. "Every day, the police would come to my home and say that, if I couldn't raise the money I would go to jail. On the very last day, Gervasios came to help. It's like he descended from heaven. The Prison in Butirka, on 10th October 2009. The Judicial Prison n.1 in Moscow, on 13th October 2009. The Prisoners’ Hospital in Moscow on 13th October 2009. The Women’s Prison in Mozaisk on 28th January 2010. The Juveniles’ Prison of Mozaisk on 28th January 2010. 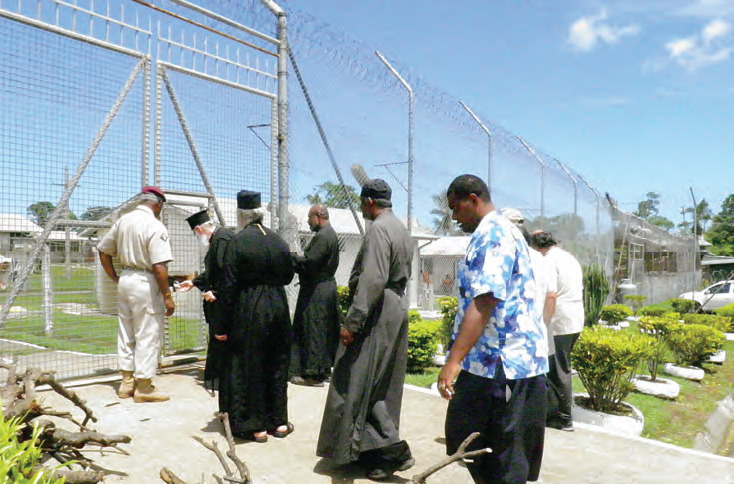 The Prisoners’ In Custody Prison in Mozaisk on 27th January, 2011. TheRev. Gervasios Raptopoulos with his partners visited the above mentioned prisons giving a lot of presents to the prisoners (tracksuits, socks, gloves, towels, e.t.c.). On the other hand, he had been participating for 3 years by a Paper in the International Congress of the Patriarchate of Moscow, which is held annually, from 24th to 29th January. He also released on bail a young Russian prisoner from a Moscow prison by sending € 1.450,00 from Greece. 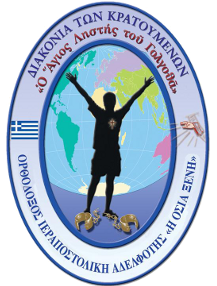 The "Diaconate for the Release of Poor Prisoners " of the "SAINT XENI" Orthodox Missionary Sisterhood was founded in 1978. It has carried out this humanitarian and Christian diaconal service until the present, and it will continue to do so in the future. The coordinator of the "Diacony for the Release of Poor Prisoners " of the "SAINT XENI" Orthodox Missionary Sisterhood is the spiritual advisor to the Sisterhood, the Very Reverent Archimandrite Gervasios Ioannis Raptopoulos, Preacher, who signs o­n behalf of the Missionary Sisterhood the letters addressed to the released poor prisoners and defendants and any relevant document. The information instrument of the "Diacony for the Release of Poor Prisoners " is the quarterly orthodox periodical "Christian Pulses".